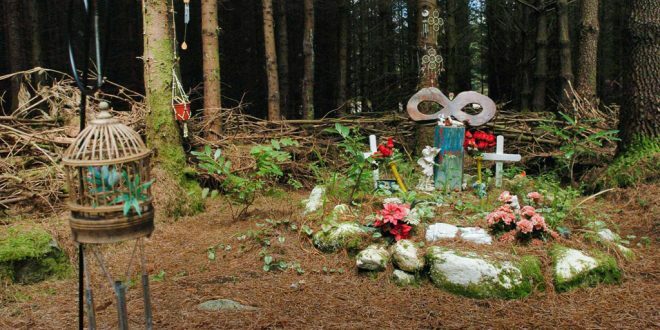 The shrine at Cregg Wood where the bodies of Imelda Riney and her four year old son, Liam were found. Photograph by John Kelly. A NEW film, which will premiere at the Galway Film Fleadh next week, delves into the shocking events that took place in East Clare in 1994, when Brendan O’Donnell brutally killed Imelda Riney, her son Liam and Fr Joseph Walsh. Based on the diary of Ann Marie O’Donnell, the sister of the disturbed killer, Property of the State tells the true story of how she has had to come to terms with having a murderer for a brother. The film, which will be shown next Wednesday at Town Hall Theatre in Galway, explores how the misdiagnosis of challenging behaviour at an early age, the lack of care of individuals with a mental illness and domestic and institutional abuse could combine and ultimately lead to tragic consequences, which were potentially avoidable. Seen through the eyes of Ann Marie, the film shows how, piece by piece, she threads together the events that ultimately led to the harrowing murders of a young mother, her child and a local priest in Cregg Wood. Ann Marie lived through it all. 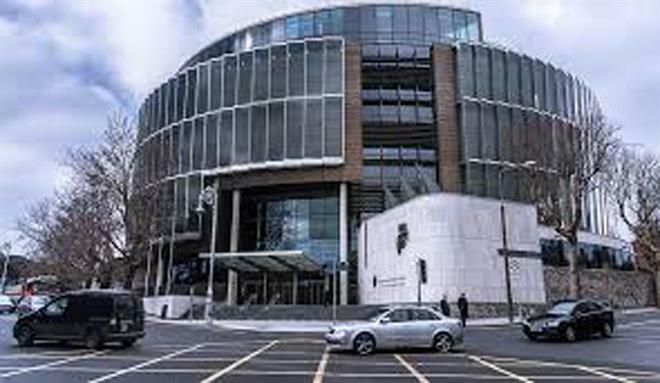 As the loving sister of a loving brother, she became the sister of a murderer, the sister of a man described as “the most evil man in Ireland”. Ann Marie had not committed a crime, yet many saw her as guilty by association. Directed by Kit Ryan, he said, “This true story is tragic on many levels, from those directly impacted, to those who were judged from afar. Ann Marie found herself in a conflicted and confusing space, caught between family and the tragic acts perpetrated by her brother. She also found herself as the point of much admonishment and abuse and accused of being guilty by family association. The tragedy is that the effects of mental illness are as internationally relevant today as they were in 1990s”. Terence Ryan, producer, PIX Productions Limited, said having lived with his own family in Mountshannon in the 1990s, he was very aware of the media frenzy surrounding the tragic and horrifying actions of Brendan O’Donnell, as well as some of the consequences. “It is a film that is really harsh and powerful and terribly, terribly sad and that’s what it comes down to, on all sides. It is just tragic. The Republic was gripped by what had happened, trying to understand how such a tragedy could ever happen in the rural paradise that is East Clare. Today, there is greater understanding of children growing up with challenging behaviour and also of mental well-being. The issues addressed in Property of the State are as important today as they were 25 years ago. Even though much understanding has been achieved, there is still a long road ahead,” he said. The film has taken eight years to make, with three to four of those spent on financing it. “We got turned down by lots of people who didn’t want anything to do with it. I don’t think they saw it in those terms, I think they saw it in economic terms. We eventually raised the money in England and shot it in Northern Ireland because they offered us the studio there. “None of the institutions, the Irish Film Board or Northern Ireland Screen, would put any money in,” Terence revealed.